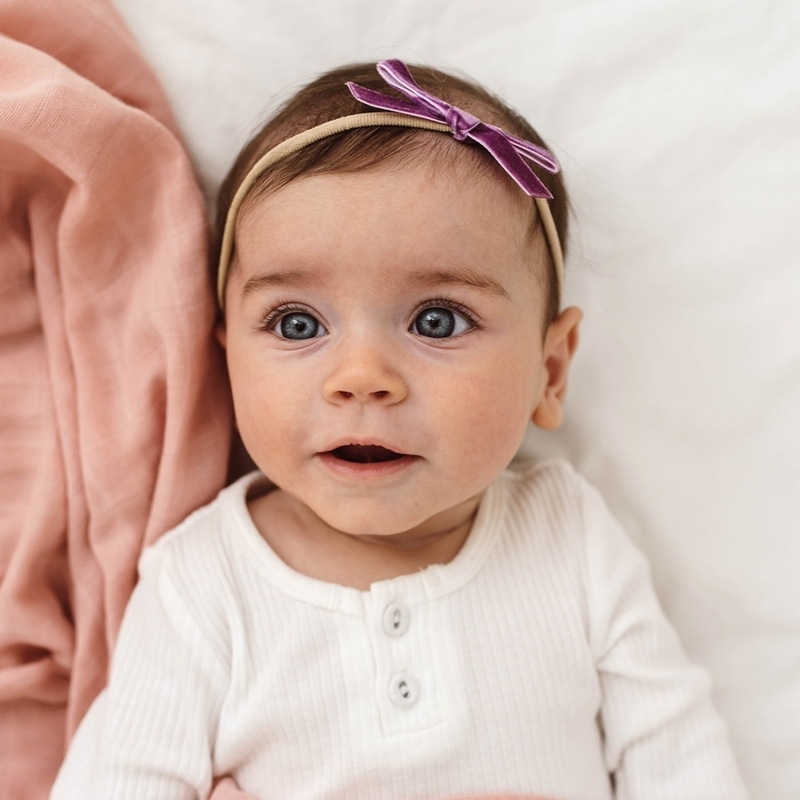 Match our bows to our swaddles for the perfect snuggle set. 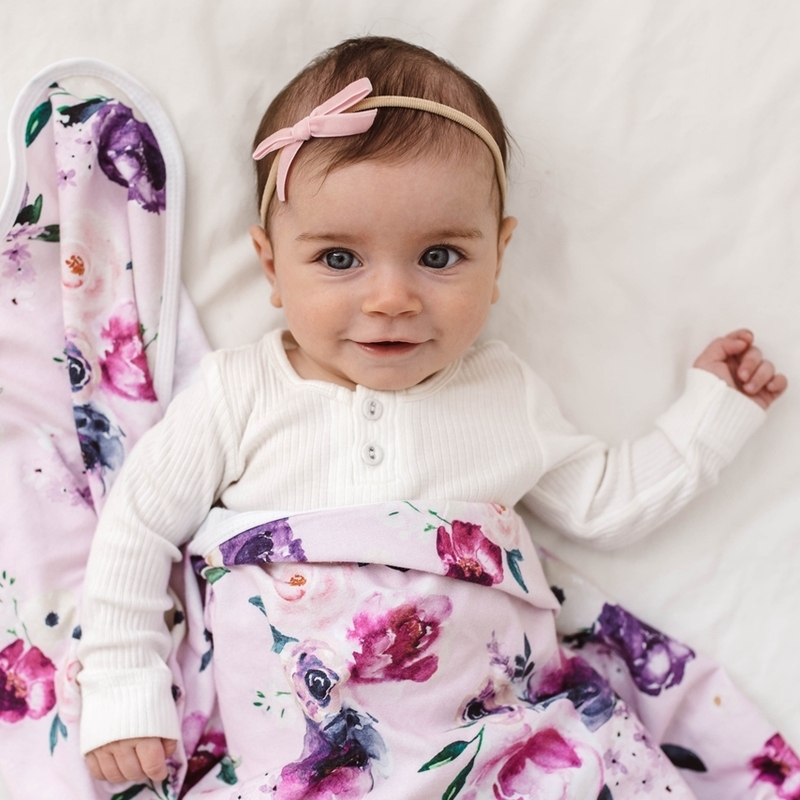 Makes for a beautiful baby gift. 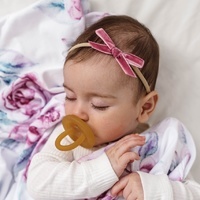 Our petite bow is made from velvet and the headband is made from soft stretch nylon elastic.